Our staff are all fully trained to ensure they clean to the highest possible standards. When you book a Hygiene Klean cleaner, you’re guaranteed an excellent job! •Floors: Wash and/or vacuum throughout. •Kitchen: Clean work surfaces, dust and wipe appliances, wipe clean cupboard fronts and wash floors. •Bathrooms: Thoroughly clean sinks, baths, toilets and wipe counters. •All rooms: Clean and dust skirting boards, pictures, lampshades, knick-knacks, window sills, furniture, and light fittings, and vacuum throughout. On top of this, every time we visit your house, one room will benefit from our deluxe clean, where we’ll move all of your furniture* and clean behind / under it, and a clean of the inside of the windows. When the deluxe clean comes to your bathroom (if applicable), instead of moving furniture, we will clean your bathroom tiles. For Landlords and Tenants we offer an end of tenancy cleaning service. If your moving in or out of a property and require a cleaning service we can offer very competitive rates making sure your property is in a perfect, clean condition to retain your tenancy deposit, or make sure your new tenants are happy with the property. Hygiene Klean offers you a professional cleaning service. We offer a great qulaity small carpet cleaning, ironing and oven cleaning service in and around York and Yorkshire Area. Our professionalism is the key to our high quality service we provide. We offer experienced reliable friendly cleaners, fully trained to deal with your personal needs. Our rates are very competitive. There are no hidden extra costs or charges and our rates are simple to understand. 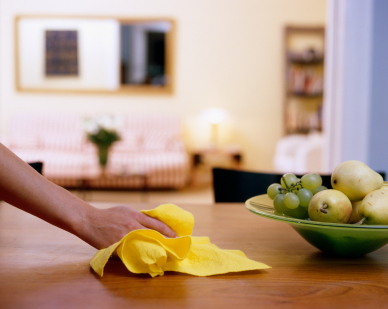 Please contact us for more information on our Domestic Cleaning Services.